Visit any WorldTour race this season and there’s a good chance that the likes of Fabio Aru (Astana) Jakob Fuglsang (Astana) and Nacer Bouhanni (Cofidis Pro Cycling Team) will be regularly glancing down at their respective stems. Okay, to be more precise, they’ll be checking their bike computers to see just how much wattage they’re generating – and measuring – from FSA’s new-for-2017 PowerBox power meter. Every world-class team now uses a power meter top gauge effort, set intensity and, hopefully, power them to victory. 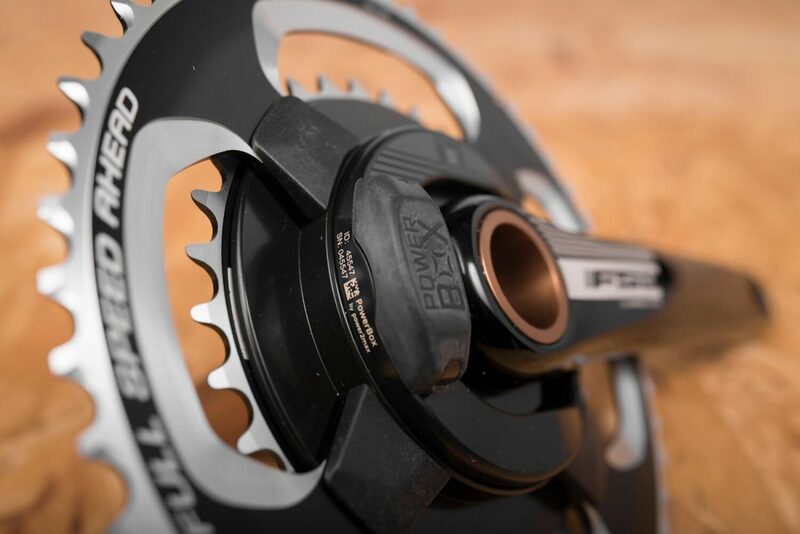 But they’re becoming equally popular within the recreational ranks thanks to power meters like the PowerBox brining the price down to just €649 / $648,99 / £599,95 (for the alloy version; as you’d expect, the lighter-weight carbon version is more expensive at €1,249 / $1,149 / £1,099,95). That’s all well and good but what exactly is power and why is it the training metric of choice? Essentially, power is the amount of work done per unit of time and is measured in watts (W). It’s accepted that knowing power output is more accurate and immediate than other forms of measurements such as heart rate, which is affected by factors like wind or stress that can distort the accuracy of the figures. There are several models on the market, which measure power output via different means. There are models that measure the strain on the crank acting on the chainring, while another measures force on the left crank arm before doubling it for an overall figure. FSA’s PowerBox, developed in conjunction with respected German brand power2max, integrates cutting-edge technology into FSA’s quality crank arms and chainrings, and so precisely measures power output on both your left and right legs before transmitting that information via ANT+ to a bike computer like Garmin’s Edge. So you have the information to hand but what can you do with it? Well, similar to training by heart rate, training by power is maximised via zones. But before you can set training zones, you need a baseline figure. There are many tests out there but one of the most common and reputable is the submaximal ramp test that should be repeated every four weeks to measure progress. Warm up for 5mins at 50-60rpm (you can check your cadence on your bike computer). Then pedal in a seated position for 1min at the starting power – this is around 55W for newbies and 100W for more experienced cyclists. After a minute, increase power by 15W. Keep increasing by 15W each minute until you can’t talk. Now stop. This is assumed to be around 85% of your maximum heart rate. Take note of the power output. Add 60W and this gives you your maximum minute power (MMP). This figure is important because you can now plan your training zones. These are based on your MMP figure. You can find these in great detail elsewhere but, broadly speaking, there are seven training zones designed to stimulate certain physiological adaptations depending on the time of year. For instance, the recovery zone is when you ride at below 35% MMP and are able to hold a conversation. These rides should last less than an hour. Next is the ‘base zone’ at around 35-45% MMP. These rides can be anywhere between 90mins to 4hrs and are great for burning fat and building aerobic capacity. These stretch up to the seventh zone – supramaximal – which is more than 100% MMP and involves very short intervals. You’ll find these extremely stressful to build speed. Whether you’ll match FSA rider Bryan Coquard’s reported 1,800W peak power output, however, remains to be seen! Once you’ve set your training zones, you’re now in place to plan your training day, week and month. For this, online software like Training Peaks is pretty good. TP will also give you a fatigue rating to ensure you don’t overtrain. So for roadies it’s all good – and the same is true for mountain bikers as FSA also produce an MTB version – the FSA PowerBox MTB Carbon. Now whatever type or riding you do and whatever level of rider you are, you really can ride in the slipstream of the elites.